We're thrilled to have Lisa and Sarah, the mother and daughter duo behind A Spoonful of Sugar, sharing a lovely tutorial with us today! Lisa & Sarah aim to Live Creatively and share lots of crafty tutorials and recipes on their blog and facebook page. They spend their time sewing, baking, and dabbling in a wide range of crafts. Lisa publishes her sewing designs in a number of sewing, craft, quilting magazines in both the USA and Australia. Lisa and Sarah love all things Japanese and are addicted to washi tape. 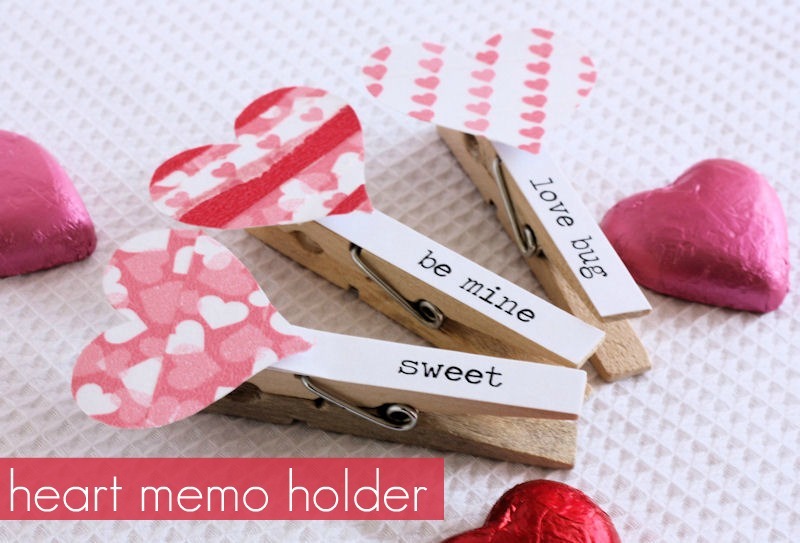 The Heart Memo Holder is a Valentine’s inspired project that serves as a sweet way to leave a Valentine’s message for someone special. Punch out a heart shape from the cardstock, and then decorate it with strips of washi tape. 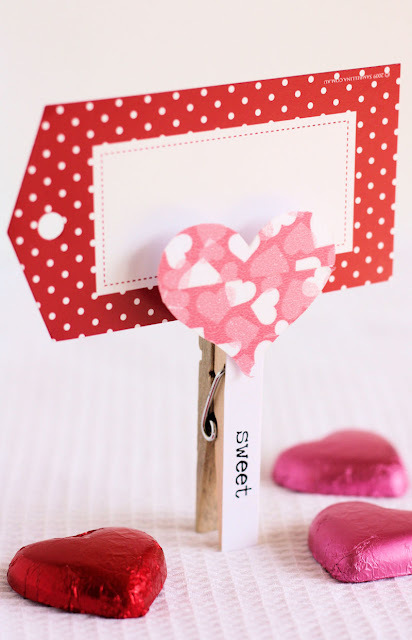 Print out a Valentines message and cut it to fit one side of the clothespin. Tape the message in place. 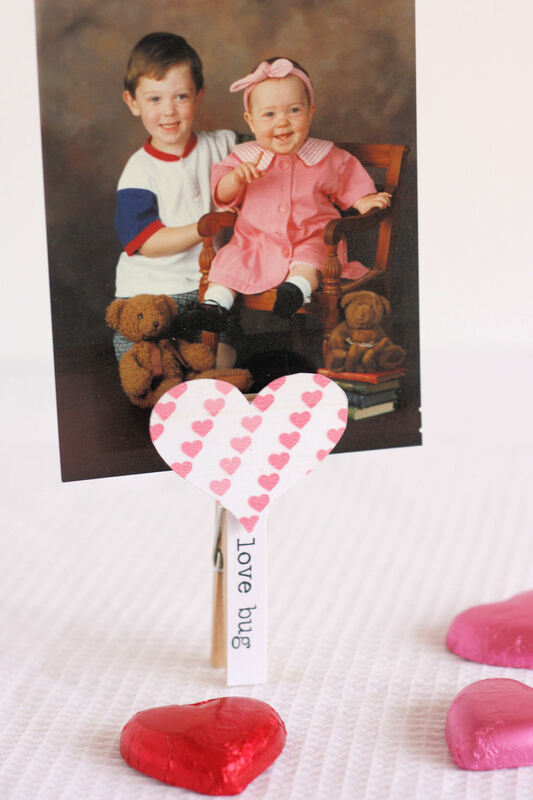 Attach the heart to the top of the peg with an adhesive foam square. Use the memo holder to display a message or photo. They can be used to hold place cards at a special Valentine’s dinner. Optional: Add a strip of adhesive magnetic tape and attach it to the back of the clothespin. It can now be used it as a fridge magnet. You'll find plenty more crafty goodness over on A Spoonful of Sugar. Thanks Lisa & Sarah! Thanks Marisa for featuring our project! Thanks so much for sharing your project with us!